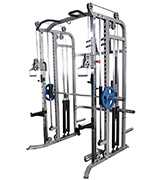 The XFPowerCage is, essentially, three workout machines in one: a Smith machine, a twin weight oblate functional trainer, and a pore rack. It has been designed for standard ceiling height. The bench has to be purchased separately. A compact multifunctional training machine that will help you workout using all muscle groups. A large number of blocks allows varied complicated exercises and easy load adjusting. 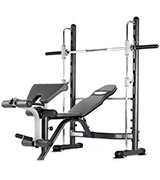 The model includes a rack for weight plates and other equipment. Squats, Split squats (Bulgarian lunges), Curves, Shoulder shrugs, Chest machine exercises, Crossover exercises, Abdominal exercises etc. The wide stands with specialised construction provide maximal stability even when you use really heavy loads. The light-colour seat will get worn out rather fast. 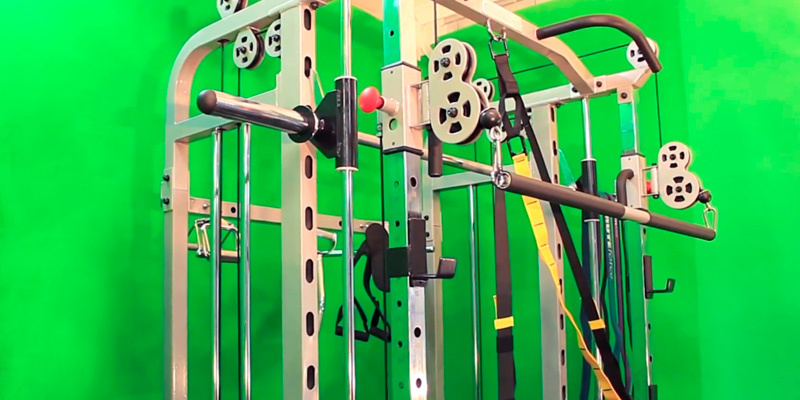 This versatile training station will help you develop all of the muscles of your body. Thanks to a large number of exercises that can be performed on this smith machine, it fits perfectly both newbies and experienced fitness enthusiasts. Special weight protectors prevent the equipment from falling. Bench press, Squats, Split squats (Bulgarian lunges), Chest machine exercises, Butterfly, Beincurl, Leg press, Oblique bench presses, Bibs etc. The rack can hold a lot of weight so you can use various combinations of loads at once. This machine is rather big and needs a lot of space. This is a high-quality Smith workout machine with lots of potential for individual training as you can adjust not only the load level but also the seat position and much more. The sturdy frame and top-shelf materials make this product very durable. Bench press, Squats, Split squats (Bulgarian lunges), Curves, Shoulder shrugs, Chest machine exercises, Crossover exercises etc. 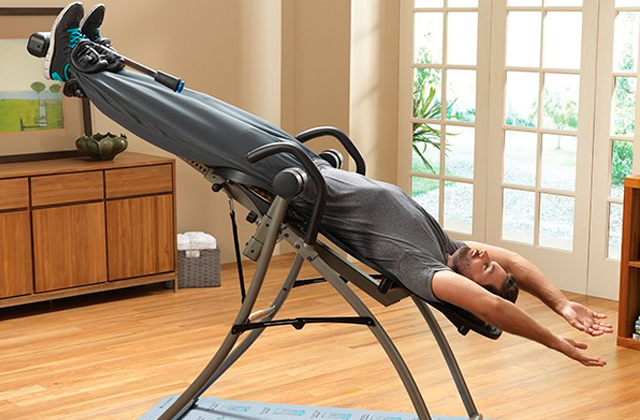 Simple folding mechanism, adjustable height of elements, and the ability to move the back of the bench make this workout machine incredibly comfortable. The bench is not very stable. 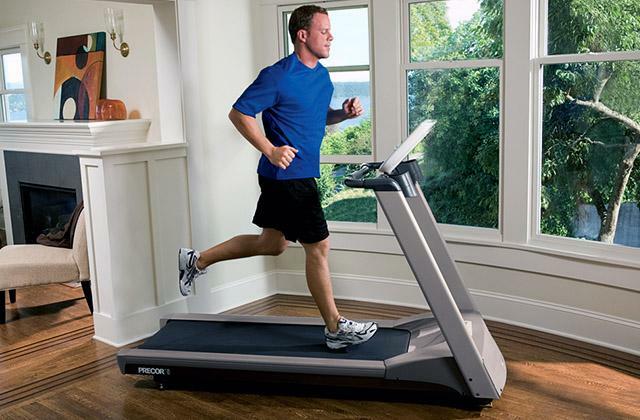 The Tunturi 14TCS60400 is a convenient way to work all muscles of your body in the comforts of your own home. It allows you to adjust the height of the bench, back, and armrest as well as set the barbell at the height convenient for you. Ab crunch, Bench press, Leg extention, Leg curl, Squats, Split squats, Chest machine exercise etc. 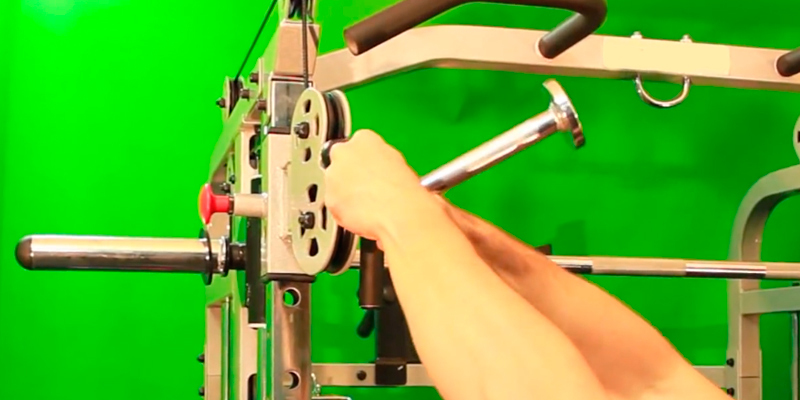 The manufacturer has used extra long sleeves to ensure absolutely smooth movement during workouts on this Smith machine. The station is somewhat low and may be uncomfortable for taller users. 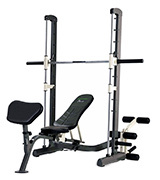 This is a sturdy and stable gym rack with an extra bench and an armrest, which also allows for doing leg curls. The Marcy TSA-5762 will be a precious helper in your in-home training. It can be adjusted to match the user's height and operated on various levels. Bench press, Squats, Chest machine exercise, Curves, Arm curl etc. In our busy day-to-day lives, to go out to the gym to do even something as basic as squats and bench presses to keep fit isn't always possible. But if you are determined to not give up on sports, you can get a Smith machine, install it in your living place and train whenever you have free time. 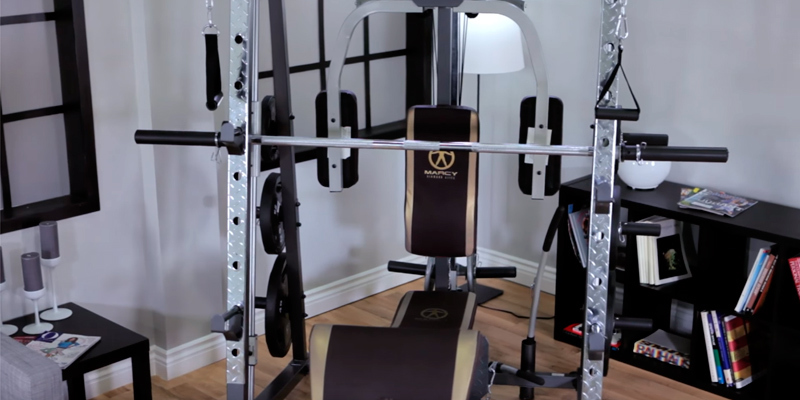 One of the best Smith machines for home use that we could safely recommend even to a newbie is the We R Sports XRT-CAG-10. 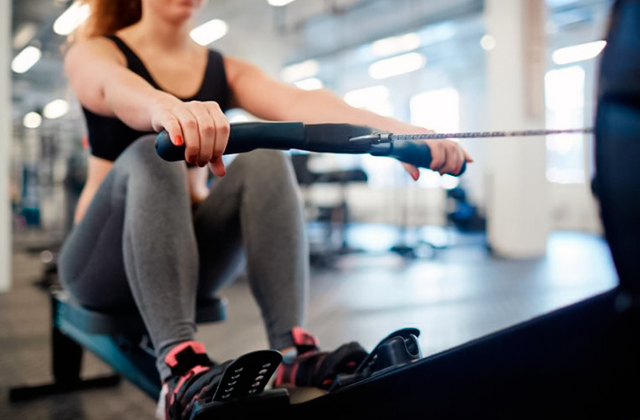 Compact yet multifaceted, the We R Sports XRT-CAG-10 is the type of equipment with which you'll absolutely have no chance to lose shape even if you don't have an opportunity to join a gym. Training with a Smith machine doesn't require following a strict schedule. You are free to train whenever you have time. 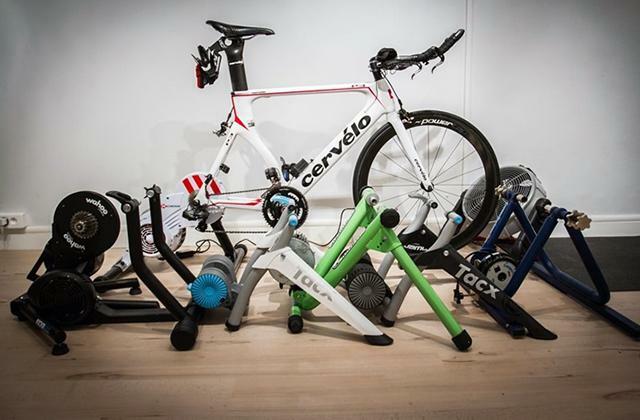 In fact, by placing it in your living room in front of TV you may actually boost your performance inadvertently training longer than you normally would. The We R Sports XRT-CAG-10 combines three completely different workout stations in one piece of equipment featuring a Smith machine, a twin weight oblate functional trainer, and a pore rack. That means you pay for a single unit but get the functionality of several devices and can train all muscle groups of your body without missing an inch. The machine is easy to use and if you have a willpower you will surely get fit in a short time. As long as you train for at least a couple of times every week your muscle mass will show impressive gains. To make training sessions more convenient, the We R Sports XRT-CAG-10 comes equipped with a rack where you can hang weight plates, barbells, and other gear needed for your muscle development, instead of leaving them on the floor and wasting your space. The only thing the We R Sports XRT-CAG-10 lacks is a bench, which means if you decide that you need it, you'll have to purchase it separately. All other elements, though, are included and of high quality, which makes the We R Sports XRT-CAG-10 outstand many other similar models in its class. The machine has convenient dipping handles with an anti-slip covering, a chin-up bar, a close grip V row bar, and a wide-grip pulldown bar. Unpack and start working out! 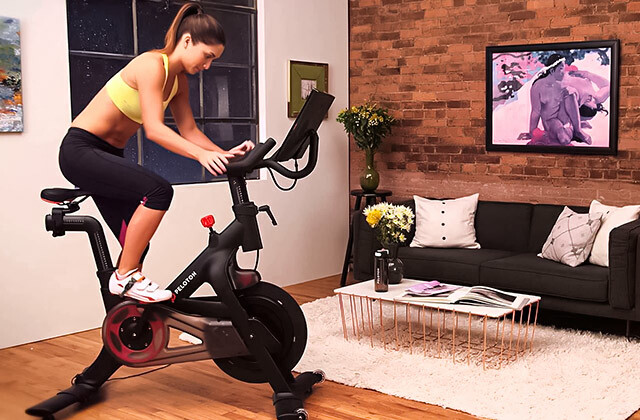 The best and most convenient way to keep in shape in the comfort of your own home is to get one good multifunctional workout machine that will fulfil all your needs. That's exactly what you can get if you buy the AsVIVA MS2 squat cage. This single machine will rid you of the need to purchase dozens of barbells and dumbbells and enable you to work the same muscles while taking almost no space. Even if you’re not very well versed in fitness and workouts, the AsVIVA MS2 is so easy to use that you’ll get a firm handle on it virtually in no time. Spending even a week using this machine will get your blood pumping and your health on the rise, setting you on the road to a great physique. And don’t worry about damaging the equipment accidentally as the producer provides a 5-year warranty. All you should do to start a warranty period is register on their official website, which is pretty easy to do. The AsVIVA MS2 Smith machine is very sturdy and reliable, with the power station allowing for a maximum load weight of 150 kg. What this means is that this machine will suit not only newbies starting exercising but also pros needing to work with heavier weights. The AsVIVA MS2 has a sturdy steel frame that won’t get bent or broken, ensuring the safety of your workout. Even if a weight plate gets dropped onto it, the frame will withstand the impact and retain its shape. And we do mean dropped as the machine has special protective mechanisms to keep the equipment from falling. 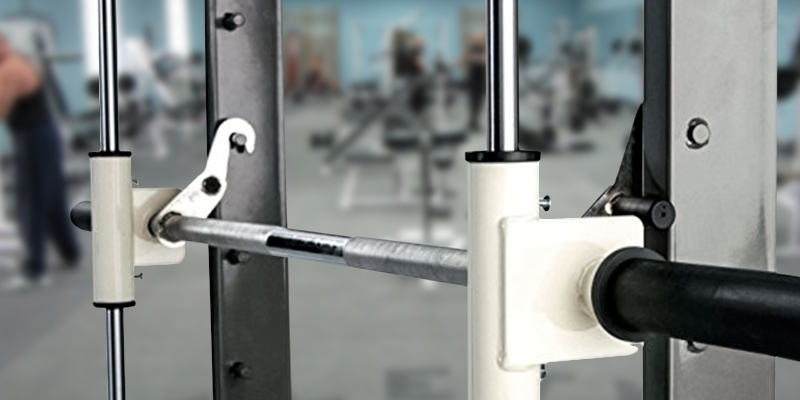 For your convenience, there are several racks to hang disks or weight plates. That way you can keep your workout accessories in a neat and tidy way without having to purchase a storage unit separately. One of a few low points that are worth mentioning about this Smith machine is its seat. For one, it's light-coloured which means you'll constantly need to clean it as it will get stained. For two, it isn't of the same quality as other parts of the machine, and, it seems obvious to us, the cover on it will wear out rather quickly. But, of course, unless you plan to keep the thing on display somewhere, it shouldn't be considered too much of an issue. Moreover, in all other respects, there's nothing bad we can say. The AsVIVA MS2 has a reliable and sturdy construction. It comes fitted with wide large legs that will keep it stable on any surface allowing you to work with multiple weights. Apart from lifting weights, you can also do bench presses, squats, curls, etc - all of that is readily available for you. 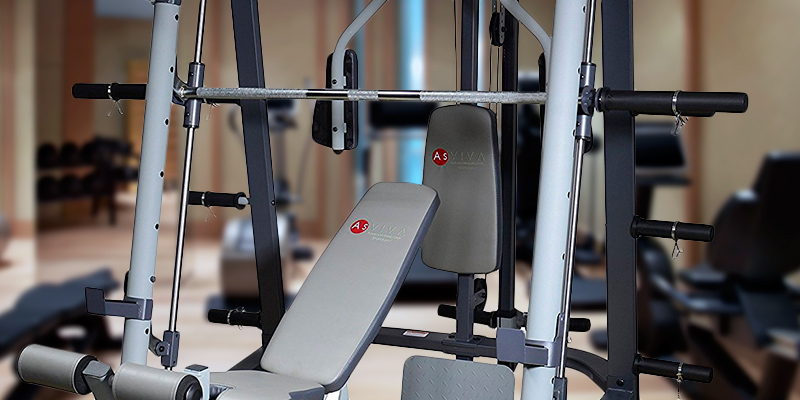 If you want your exercises to be diverse and effective, to improve your strength and health overall, or maybe to start your life all over again getting yourself engaged in sports, hurry up and take advantage of the AsVIVA MS2 Smith machine. It will help make your way to a better life easier. If you need an extra large and extra sturdy machine for your training, you should look towards a Smith machine like the Marcy MD-9010G. This is a true beast of a weights cage, big and versatile. It’s a great fit for those that need to amp up their lifting to the maximum or to do several various loads at once. And, of course, you don’t have to be a bodybuilder to use this device. It’s a solid choice for amateurs that plan on getting fit and growing some impressive muscle mass. This model holds a whopping 272 kg, which is more than enough even for the strongest user to test their true power. But this impressive maximum load isn’t just to show off how powerful you are, that number means you can store several sets of weights on the rack too. This helps to diversify your exercises while making it easier for you to change weight plates on bars. Another good thing is that while stretching out to the plates, your body will remain tense. You could be lifting one set of weights and quickly switch to a different one in a jiffy without ever winding down. Doing several different reps in a row is convenient and energising with the Marcy MD-9010G, a high-quality Smith machine that will help you make your way to a healthier life quicker and easier. However, the Marcy MD-9010G is great not just because it is able to hold quite a lot of weight. 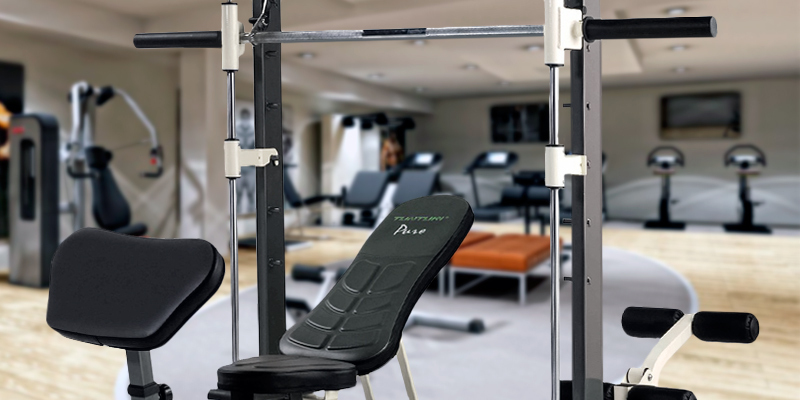 Another reason that adds appeal to this Smith machine is the fact that it has some of the elements diamond-plated which gives it extra sturdiness and durability. In practice, this means the machine is almost impossible to break even if you tried. The device is just very well-made overall to withstand heavy use. 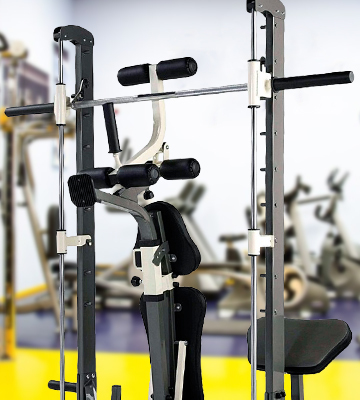 So, we’ve already established that the Marcy MD-9010G is a high-capacity Smith machine that is suitable for both amateurs and experienced sportsmen. However, that power and convenience come at a cost. This model is quite large, perhaps not the best fit for a smaller flat, especially if you plan on using it casually. It’s a wonderful device but it takes up a substantial amount of space and it’s not something that you can just put up in a corner and forget about. The machine also has an adjustable seat that you can move to fit your current exercise as the angle is important to provide back support and to keep your training safe. This feature is a simple but essential one and, if you want to ensure that you’re working out properly, is an absolute must-have. The Marcy MD-9010G is a top-notch choice for physical training, offering a variety of possible exercises, 2 years of warranty, and absolute safety in your workout. 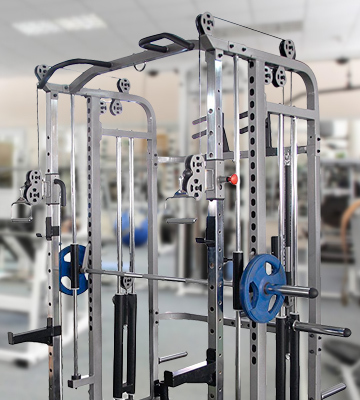 To get a basic but well-made and comfortable Smith machine, it's important to look into a whole range of features - the machine should be fitted with adjustable parts, come with a decent warranty, have a reasonable load capacity, and be supportive enough to fit different users. 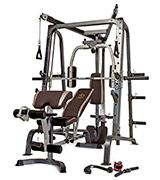 All of this you'll find in the Tunturi 14TCS60400 Smith machine, which we consider a solid choice for the novice who've got no experience and are looking for an inexpensive piece of equipment to start working out. The most prominent advantage of the Tunturi 14TCS60400 is that it's easy to fold which makes it perfect for people tight on space. The catch is, its maximum weight load will also be slightly smaller, however, at 140 kg we still think it's just what most people need. With users' comfort in mind, the manufacturer covered the bench in a high-quality EVA foam which not only keeps liquids and moisture away but also retains its shape very well being highly resistant to all kinds of deformations. With that, the foam is soft enough to keep you from sinking into the bench. Sadly, the bench itself is somewhat unstable and lifting 140 kg of weight may cause it to shake a little, but it’s nothing too serious. If you want to do more lifting, you can always add a couple of kettlebells to your training. But convenience isn’t just about a soft seat, especially when it comes to something like the Tunturi 14TCS60400. One of the better features that this model offers is the ability to adjust practically every part of it separately. Do you want to move the back of the bench, changing the angle to fit your needs better? Or perhaps you need to adjust an armrest for extra support or to get it out of your way? That’s all possible with the Tunturi 14TCS60400 - the machine enables complete freedom during exercises allowing all adjustments to be done on the fly. The Tunturi 14TCS60400 comes with a non-standard warranty. You get 15 years for a sturdy frame, 2 years for equipment, and 1 year for a bench, which essentially means it will serve you for many years and you will hardly have a reason to doubt its quality. To recap all that we said above, you simply can't go wrong with the Tunturi 14TCS60400 if you need an affordable but durable Smith machine to train at home. It's user-friendly, durable and reliable and it won't let you down. Good exercise equipment can get quite costly and not everybody wants to spring that much for the luxury of training in the comfort of home. 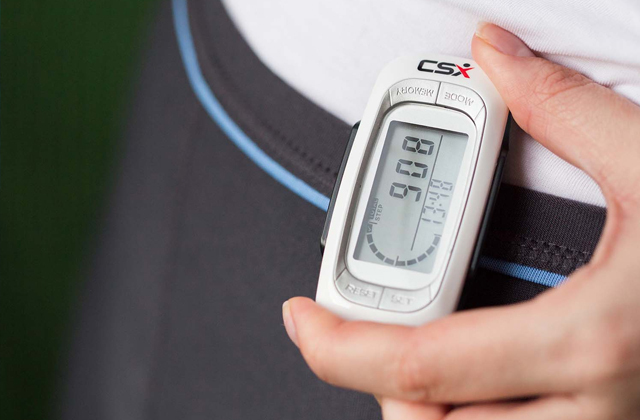 If you need an affordable yet high-quality device to help you get in shape, take a look at the Marcy TSA-5762. It has most of the features offered by pricier counterparts but won’t lighten your wallet too much. All the while it will give you a chance to perfect your physique and to get fit with ease and comfort. 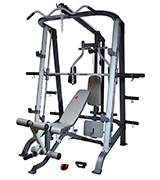 This Marcy Smith machine is carefully crafted and every element moves smoothly and softly. You won’t hear any screeching or creaking, as the parts mesh well together and create a device that runs perfectly and quietly. Moving heavy bars or weights won’t leave it shaking or making unpleasant sounds, all thanks to the smart design. The bar on this machine holds 135 kg easily so you can workout using some rather heavy loads to keep developing your muscles even after you’ve managed to get in shape. Plus, this particular machine comes with a 2-year warranty to protect your purchase and keep you free of worries about potential damage to the equipment. And even after 2 years, you’d have to try really hard to damage the steel frame on this model, that’s how sturdy it is. One of the things that separate the Marcy TSA-5762 from the more expensive models is the fact that it works only some muscle groups. Of course, you can develop all of the core parts of your body and get strong arms, legs, chest, and back, but this is not the optimal choice if you want to build some strength in your neck or forearms. Also, if you’re taller than average, you might find the machine a bit uncomfortable. The height of almost every element is adjustable but only to a certain point, so taller users might prefer a model designed for someone of a larger stature. Most people will be fine though, as you can move the parts of the machine to suit your needs and height. The bench has 5 positions to choose from so you can do incline, decline, and regular bench press exercises. The possibilities presented by this machine are varied enough and the adjustments you can make to the parts of the device will help you have a comfortable workout. The Marcy TSA-5762 is a well-rounded choice for those reluctant to spend too much on an exercise machine, even if it’s as nice as this one. It does have some downsides but they are not too significant and shouldn’t keep you from choosing this Marcy Smith machine to save a bit of money and still get a good workout device. Modern sports industry offers us a lot of opportunities to keep fit. 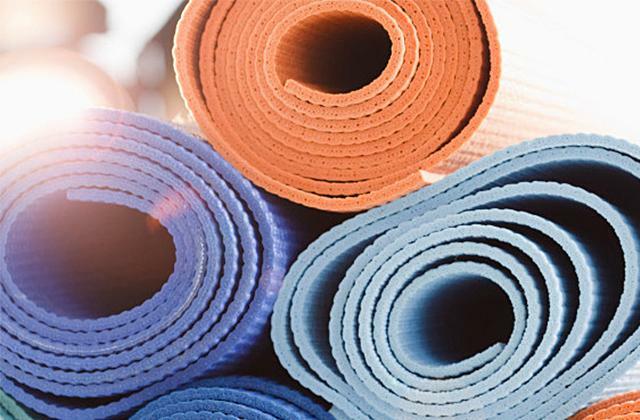 You can visit yoga studios, go to the gym with your friends, or work out with dumbbells at home. However, if you prefer weight training to keep your body fit, a Smith machine may become a real catch for you. The simplest models of such machines are made as vertically standing steel frames. Such steel frame usually has a barbell with rollers on both ends allowing it to move up and down inside slide rails along the frame. 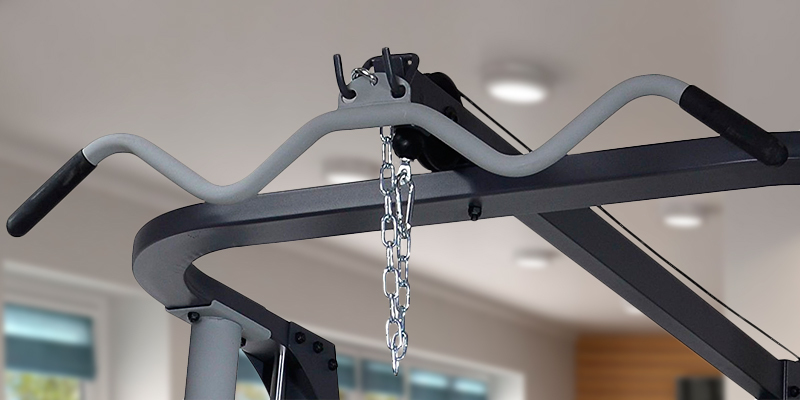 Owing to special fixtures on both sides, the barbell can be secured in one of the predefined positions by simply rotating the barbell around its central axis. You can put various weight plates on the barbell to help tone up your shoulder, upper back, and leg muscles. More complicated machines are equipped with additional attachments and moving parts that allow you to develop all muscle groups. 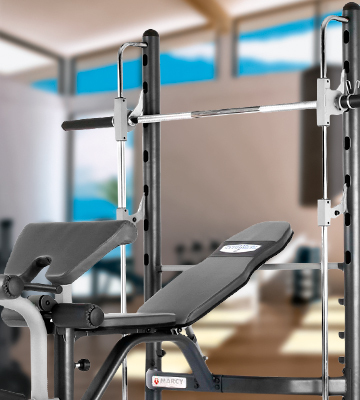 The beauty of Smith exercise equipment is that it is equally suitable for inexperienced users and professional athletes due to its well-thought-out safety features and no need for a spotter. Depending on the goal of your training and muscle groups you want to develop, you’ll need to pay attention to exercises that can be performed on a certain Smith machine. Although most people associate this piece of equipment with barbell workouts, it actually can provide you with much more training possibilities. Some models are equipped with a chest machine, cable cross-overs, pull-up bars, and other attachments to allow you to train all body muscles. 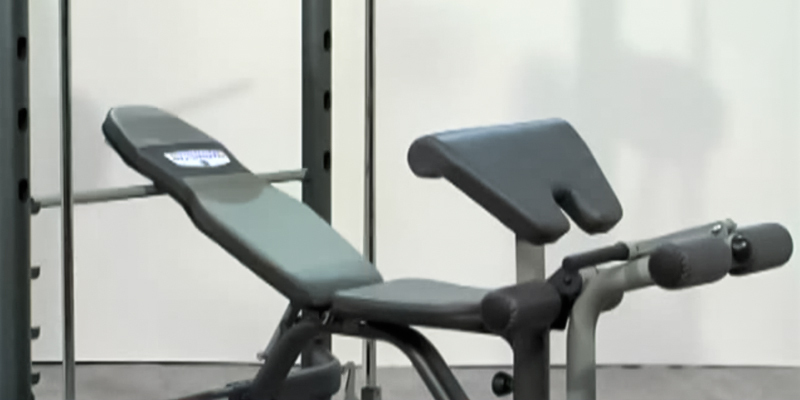 If the machine comes with a bench, you’ll be able to use the machine for doing exercises with your body in both vertical and horizontal positions. Weight capacity determines the weight, which the bar of your exercise equipment can endure. To make the right choice, it’s important to be aware of your fitness level. As a rule, inexperienced users don’t need a machine with great weight capacity. However, if strength development is your priority or you have a big workout experience and are able to lift heavy weights, Smith machines with the weight capacity of 600 pounds and more will suit you better. The last but not the least set of features to take into account includes assembled dimensions and materials. The assembled machine size is usually determined by the number of attachments included, thus, it varies from model to model. For this reason, determining the place where the machine is going to stand beforehand is prudent and practical. As for materials, they should be of high quality in order to provide high reliability of the machine on par with its long service life. That's only a handful of those exercises that you can do on the bench. In general, though, Smith machines allow for literally limitless exercises should you have desire and willpower to get better and to train more. When you use free weights, you stabilise the lifting and descending motions yourself, using extra energy and straining yourself. A Smith training station does that for you, ensuring safety. Of course, that way you don’t get as much muscle use, but, having a machine like this at home, you can account for that by simply working out more. However, you will still be able to strengthen your body and gain muscle mass without risking your health, so training with Smith machines means training with protection. Even when you use something as versatile and impressively helpful as a Smith station, it’s still recommended to add something more to your exercises, just to ensure that you are working every single muscle in your body. Plus, doing the same motions over and over may get boring after a while. 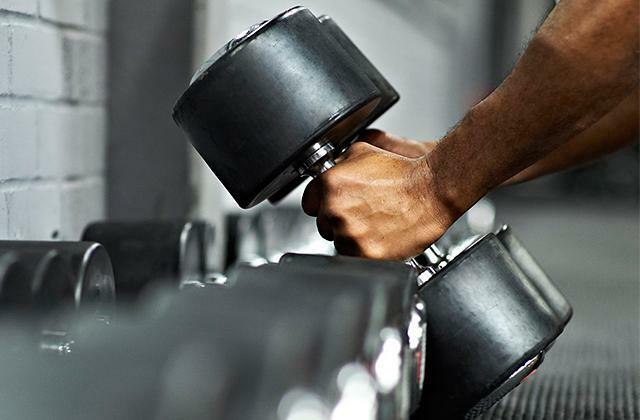 So, why not get the best of both worlds and buy a little barbell or a dumbbell, for example, to go along with your machine? Easy to use, they can help you get that extra burn you need to increase your workout intensity. You can also take advantage of an exercise bike which will allow you to work muscles of your legs without leaving home. For people living in rainy or snowy regions, this can be a perfect solution. 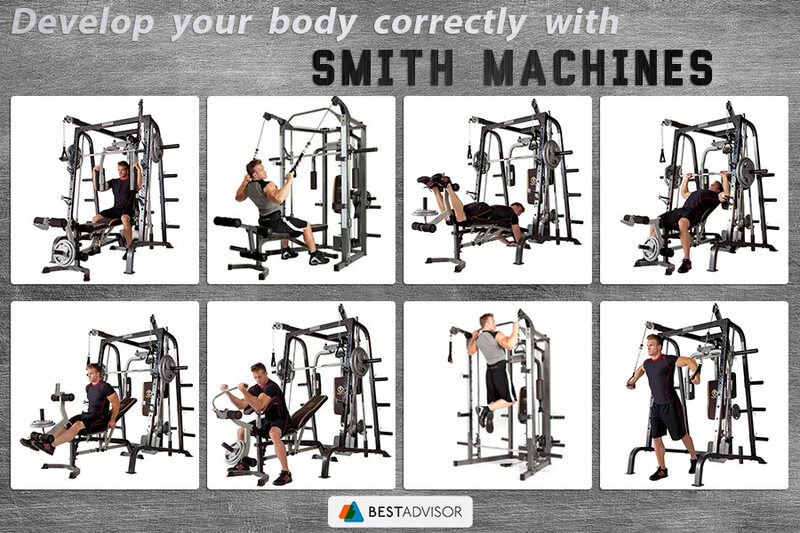 So, let's imagine you've bought this kind of device, say a Paramount Smith Machine, one of the more well-known lines. Many people, after using the station for a bit, may realise that it’s possible to lift more than usual when you use it. And, while the device does give you some support and makes it easier to press heavier loads, it’s really not recommended. Firstly, you could just get overconfident, try to lift way too much weight and pull something. Secondly, this is basically cheating your way to easy fulfilment. You use the machine, lift more than you usually do, and feel happy about such an achievement. But you don’t get the necessary workout and the gain you receive is not as effective as you'd get if you did everything properly. Remember: working out isn’t about pushing your limits. You should develop your muscles and build strength gradually reaching new goals little by little. Q: Is it possible to assemble a Smith machine on my own? Is it difficult to do single-handedly? A: The answer to both questions is yes. Actually, user guides provided by manufacturers usually include assembly instructions that allow you to set your new exercise equipment up single-handedly. However, be ready to spend some time to check the corresponding instructions and even more time to assemble your machine for workouts. In general, the installation procedure can take you up to 6 hours. Please note, although you can assemble a Smith machine alone, it is still recommended that at least two people are engaged in assembling it as to avoid accidental injuries. Q: Are weight plates usually included in the box? A: Although weight plates are essential items for your weight training, they are often not included in the supply package. On the one hand, some people might find their unavailability inconvenient but, on the other hand, it gives you a chance to choose weight plates that meet your requirements best. 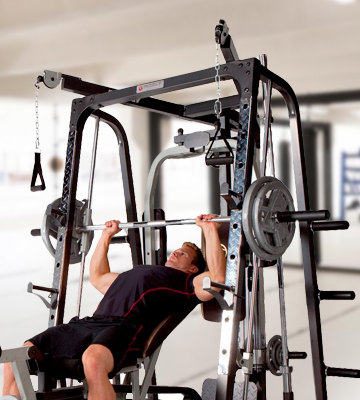 Q: Where should I set my Smith machine – indoors or outdoors? 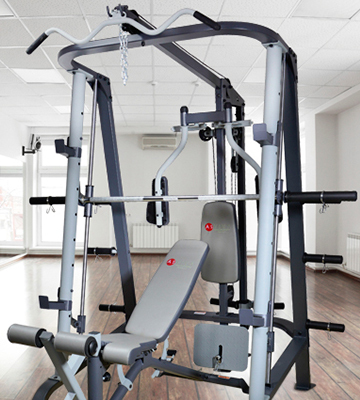 A: Of course, a Smith machine is designed to be used indoors but if you don’t have much space in your apartment, setting it up in a garage or basement is ok. Before deciding on the place of its installation, make sure you have enough space near the machine to move around and access all its elements freely. One more feature to keep in mind is temperature conditions - it isn’t recommended to set your machine up in very cold/hot air conditions or in premises with high moisture levels. Q: Are barbells of Smith machines detachable? Can they be used separately? A: Barbells are usually integrated and can differ in weight and design from standard barbells. So even if some machines feature detachable barbells, using them separately is not recommended. Q: How do I maintain proper condition of my machine? Wipe the frame, bars, weight plates, and bench with soft dry cloth to remove dust. If needed, you can use mild detergents to clean the machine surface. Lubricate moving parts of the machine using the WD-40 or another similar solution. Avoid using solvents when cleaning the machine. Q: I’ve never used a Smith machine before. What exercises are better to start with? A: A Smith machine is designed to make it possible for you to perform dozens of exercises that target different muscle groups and improve various physical abilities. Choosing the exercises to start with depends on muscles you want to develop. 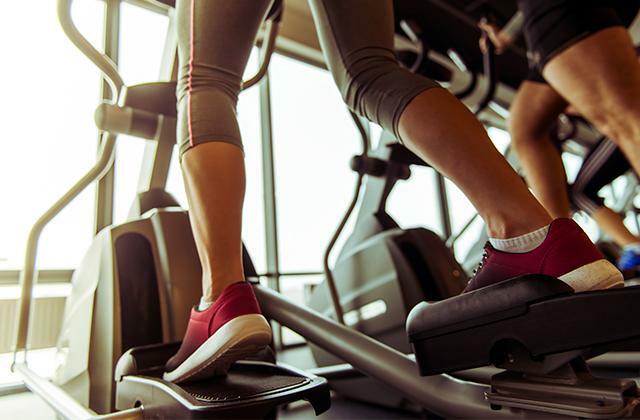 If you have no previous experience of using exercise equipment of this type, it’s recommended to consult your personal trainer to make sure you observe all the safety rules and train effectively. 1. Josh Henkin What's Wrong With Using The Smith Machine For Squats? Bodybuilding. April 12, 2016. 2. George Platt What’s The Best Squat For Muscle Growth? | Barbell vs Smith Machine, Myprotein. May 9, 2016. 3. Robin Marcel Gillespie 10 Dangerous Exercises to Avoid on a Smith Machine, LIVESTRONG.COM. February 13, 2014. 4. 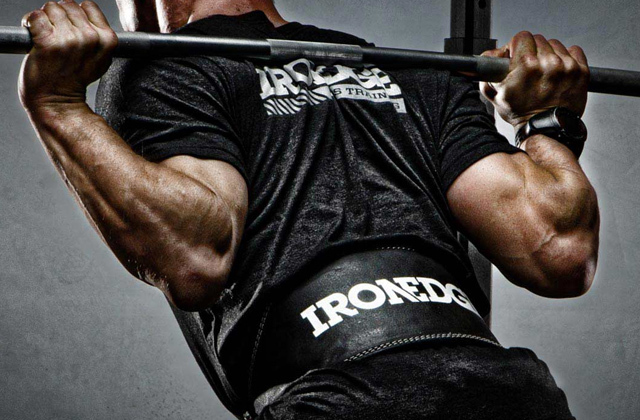 John Meadows Why I Love the Smith Machine, T Nation. September 1, 2012. 5. Smith Machine, Wikipedia. March 22, 2017. 6. Strength Training 101: How To Squat Properly, Nerd Fitness. 7. 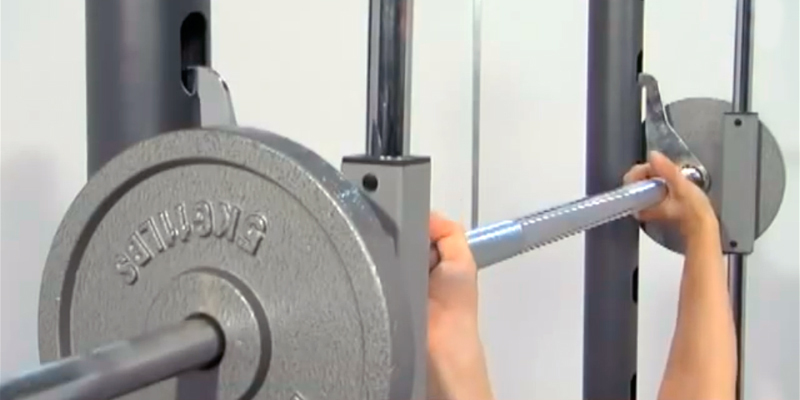 Kevin Marcoux Top 5 Benefits of Using a Smith Machine for a Total Body Workout, IdeaFit. September 1, 2015. 8. Jeff Bayer Free Weights vs. Machines, askmen.